Are you ready to transform your business but feeling overwhelmed or struggling to work out exactly how? I work with business owners who are brilliant at what they do, who now need to get more focused and prioritise business development strategies, implement structure and proven systems to build on their success even more. And they want some guidance and sound advice to help get them there. Sound familiar? Having like-minded people around you, supporting you AND your goals will propel you to succeed faster. I create small Mastermind groups of 4 like-minded business owners, so you get plenty of time to ask questions, get answers, and work on your business. Giving you my VIP service and strategies to significantly increase your sales. Do you want to get clarity on HOW to increase your revenue and income? Implement the proven 3 Most Important Marketing Strategies to raise your profile and attract more of your ideal clients? Would you like to feel confident knowing you are taking the right steps and be clear on what to do next to elevate your business? Importantly, do you want Accountability to keep you focused and motivated to your success? Introducing to you my VIP Mastermind groups. Created especially for creative Solopreneurs and small business owners to learn, grow, and propel your business forward. Combining my empowering, confidence-boosting coaching skills with 25 yrs hands-on experience of building 6 and 7-figure businesses. Feeling focused with your plan of action, you will make good headway each month and grow your business. “Before I started working with Jo, I was already doing well in my private practice, but Government imposed changes in our healthcare sector brought with it a mammoth leap in costs. This meant I found myself suddenly needing to be doing really, really well if I wanted to keep working in my current role. My goal was to reach a stage where my diary was as maximally booked as possible with client referrals, whilst keeping my sanity! The numbers were big – my practice effectively needed to grow by > 30%, but Jo helped me achieve it in under six months, which is staggering when you consider that growth in my sector is actually contracting not expanding for most clinicians. Jo taught me to look more purposefully about the marketing of my practice, and she’s given me real structure to reach out to, and maintain, consistent and meaningful contact with referrers. Being part of the Mastermind group has made all the difference in the world. There is a wonderful sense of community and accountability, and we can share ideas and problem solve together, all with Jo’s fabulous direction. Mastermind day is my favourite day of the month – we all get ridiculously excited about getting together, sharing our struggles and successes, and we learn so much. I estimate conservatively that my investment has brought in at least five times the equivalent in revenue. Feel more confident you’re heading in the right direction. Gain more leads, secure more clients and significantly increase your sales? Raise your profile and attract more of your ideal clients, speaking engagements and get enquiries from journalists? Launch your next brilliant business idea or new high-end service? Get all-important accountability to keep you on track? 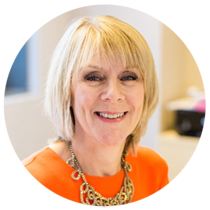 “I first approached Jo for some much-needed advice when I found myself in a complicated work situation which had a number of possible outcomes! This was back in 2012. Jo listened, asked questions and helped me realise my priorities and my self-worth. 18 months later, the first goals we set were in full swing. So I knew I was ready for some more coaching so engaged Jo in a series of 121 sessions to help me focus on driving my business forward again. Once I’d finished these sessions I knew working with Jo was invaluable to my business and decided to join one of her mastermind groups. At this point starting a family was also a factor in my future planning. In six months, I was able to implement structure and systems that worked well each month, and elevate my business to the level I wanted to before becoming pregnant, which enabled me to have some proper maternity leave with my daughter when she came along in 2015. Everything was going to plan! I have now been back in an Amberlife VIP Mastermind group for a year and it’s been the most successful year I’ve had, I’ve more than doubled my turnover, again! The team has grown, business has developed and we’ve won some fantastic contracts. As well as these business achievements I have managed to protect my time with my family which is so important to me. I’d love to help you achieve your business goals and lifestyle you desire. Over the 12 months that we’ll work together, you will discover and implement the 7 essential elements that make a successful and sustainable business. I will give you personal guidance and advice on where to laser focus your time for the very best results, while you power up your business and learn from a small group of like-minded entrepreneurs on your journey together. My clients love having me to help them prioritise their workload and identify their next steps. Implementation and taking consistent action is key to your success. I give you clarity, accountability and a personal mentor for success. Combining my mentoring skills and my 25yrs+ business background of building multiple 6 and 7 figure businesses, so it’s not just the strategies for business I bring, I can relate to you personally. I have experienced the highs and the lows of running a business. I know, first hand, the obstacles, stresses and countless challenges that we business owners face every day. But, I’m on your side! I’ll give you the support you need, the encouragement you want, and pass on my knowledge to you. I love what I do and I have helped hundreds of business owners just like you, turn both their lives and their businesses around. 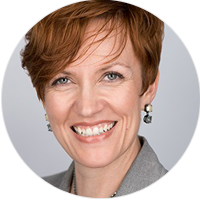 “Jo James’ VIP Business Coaching in her Mastermind Groups delivers precisely what you’d expect: High-level results, packaged in excellence. Before running my current organising & productivity business in London, my career originally began in Las Vegas in the hospitality industry. Having specialised in Concierge and VIP Services, I’m only too aware of what it takes to deliver a VIP service. And what Jo offers is nothing shy of VIP treatment. She is eternally consistent, resourceful and full of expertise. Incredibly insightful, she sees through your business and extracts the specific actions needed to achieve your goals. Her accountability means those actions get done and converted into quantifiable results. No matter what challenges I face, Jo is in my corner ready to prescribe a bespoke solution every time. Not to mention her energy is limitless, which so obviously springs from her love of what she does and her unwavering commitment to her clients. I know she has other clients, yet another gem of Jo’s VIP characteristics is that she makes you feel like you’re the only one. My clients have invested with me to update their skills and strategies and have seen a huge return, as much as 25 times their investment. Now that is a successful result! The business owners that have joined my Mastermind Groups enjoy having each other to discuss and decide on which one idea is the BEST idea to create and implement, all during Mastermind Days. It’s a hive of activity. It’s reflective and pensive. It’s challenging and inspirational. It’s what ever you need it to be. We’ll all be there for you. Brainstorm and bounce off your brilliant ideas, get support and encouragement from me and your peers, and discover how to consistently get the results you want, whilst feeling calmer, confident and more in control. So, how can you do this too? Super-effective lead generation, sales and marketing strategies to win more business, more often. Copy writing techniques to drive more enquiries online, get attention from journalists and gain speaking engagements. Clarity to make your products and services attractive and easier for people to buy. Tools to attract clients you want to work with and win on-going contracts. Creating the best mindset to be a super-effective business owner. All in my fabulous, income generating, confidence boosting, VIP Mastermind Groups. You will move forward with self belief, confidence and a range of tried, tested and proven client winning strategies. 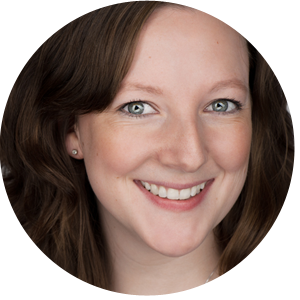 “Being part of Jo James’ Mastermind Group has been an amazing experience. It provided me with a safe environment to discuss business openly and importantly meant I spent regular periods just focusing on business development. Jo helped me develop a consistent working approach for my online marketing; got me off the ground with regular newsletters and has helped me gain more structure in all my sales and marketing activities. Working with the other team members from outside of my own business sector was very useful – giving a different insight into how to communicate my services and ensure I always use language that those from outside the print industry are familiar with. Besides that, I have made firm friends and business associates that I know I can call on for help, advice and support moving forward. VIP Monthly Mastermind Group Days are held in a private office suite in Piccadilly, London, where you will have a full day together in your select group of entrepreneurs to fire up your business and propel you forward to success. PLUS you get Monthly private 121 time with me to keep you focused and give you the all important accountability. So you never have to sit there stewing again! Just call me for help when you need me. Are you ready to get clarity, confidence, and more clients? Email me today to apply to Join the AmberLife VIP Mastermind Groups. 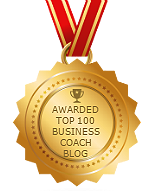 Ask me any questions, and let’s arrange when we can have a chat about which VIP Mastermind group is best for you. Designed to help you #makeithappen, and transform your business. Let’s celebrate your success, together. Join us and the results will follow.